If I were to get married and filed married filing separately could my parents claim me with out them finding out that I am married? My boyfriend does have an income, but if I file separately would his income be counted as mine? If that won't work, is there anyway to get married without my parents finding out? If your parents qualify to claim you in the tax year you get married, you can file MFS and you can NOT take the standard deduction for your husband or claim any kids for any child tax credits if kids are in this mix. Likewise your husband would also file MFS and also can not take your self-exemption. Note that for 2018 the dependent exemption and self-exemption no longer exists. Filing MFS you will get the $12,000 Self-exemption only. Then if/when your parents claim you on their tax return, they will not get a dependent exemption since that exemption no longer exists. However, if they qualify for any dependent credits such as qualified education expenses, they will claim those, and you flat out can not, unless specific and explicit criteria are met. There is nothing illegal about this either, provided your parents qualify to claim you on their tax return. So filing MFS all you will get is the $12,000 standard deduction at the most. - if on Dec 31 of the tax year you are under the age of 19 and your parents provided more than 50% of your support for the entire year, they qualify to claim you. Period. - The parents qualify to claim the student on the parents tax return. The parents will also claim all education credits they qualify for. Note that with the above, the student's earnings do not matter. The student could earn a million dollars and still qualify to be claimed as a dependent on the parent's tax return. Note also that for a student, there is no requirement for the parents to provide any support. Not one single penny. THe support requirement is on the student, and only the student. TO reiterate that requirement, it is the student that must provide more than 50% of the students own support. There are only two possible ways the student can have sufficient income to provide their own support. 1. The student as a W-2 job or is self-employed and earns enough money to be able to prove that other sources of income (scholarship, grants, 529 funds, gifts, etc.) did not provide more than half of the student's support. 2. The student had a qualified student loan on which the *student* is the primary borrower, and sufficient funds were distributed to the student during the tax year to constitute more than half of the student's support. One also has to take into account the amount of 3rd party income. For example, if you received $80K in scholarships during the tax year, then I don't care how much you may have earned. There is no way you're going to convince the IRS that it cost you more than $160K to support yourself as a college student. Your parent's would qualify to claim you on their tax return, even if you did earn a million dollars. I can file MFS and my parents will not find out that I am married as they will be able to claim me because I am a full time student? Is that correct? So, basically the only thing changing will my marital status? There is no kids in the mix and we do not want to claim each other as an exemption. you can rest assured Mom and Dad will find out about the marriage eventually. But it won't be from the IRS directly per-se. Remember, after marriage you have to update your information with the Social Security Administration by visiting your local SSA office. The IRS pulls their data from the SSA every year, which will be around Dec 2018 for the 2018 taxes. So the name change will be reflected, and when the SSN doesn't match up with the last name on your parent's return, they're gonna know something's up. If you are in fact a college student, then you can expect all financial support to be cut off once they find out, since they will not be able to claim you (or more importantly your education expenses) on their 2019 return because you're married for the entire tax year. So, if I file MFS, keep my name the same, will my parents be able to claim me and my education expenses, without finding out about the marriage for a year or two? Sorry for so many questions just trying to figure everything out! Trust me, it's not going to be "a year or two". Not even close. You forgot that the health insurance required by law has to have your current marital status to be valid. When that bill comes due, they're gonna know. If a claim is filed against that policy, when it's denied because the marital status is in disagreement, they're gonna know. Thank you for all the information!! I guess I will be better off just claiming myself? 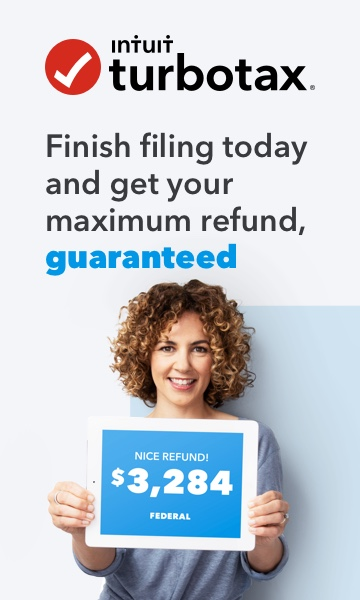 Either you file MFS and let your parent's claim you, or your file MFJ and together on the joint return you two take your $24,000 standard deduction. If you are married on or before Dec 31 of the tax year, then any other filing status is not an available legal option for you. One thing to keep in mind is who files first. If your parents file first and claim you, then you will not be able to file MFJ or MFS and take your standard deduction. Overall, it's really none of my business as to why you need to hide marriage from your parents anyway. But if the marriage is worth it, I would think it could wait until graduation maybe? We all have our opinions of course and I'm reluctant to post mine here since I don't know "the whole story" and I'm sure you don't want to post it in this public forum. I guess my bottom line is, your parents are going to know something is up within 12 months of your marriage easily. If it's a problem, you can face the music now, or face it later. But you will face it. The longer you wait, the louder and more ear splitting that music will be most likely, too. If I'm "close", then I would suggest you and the BF seek some counseling on campus for help in "breaking the news". I'm sure it's available for such a situation, because I can assure you that it would not be the first time that it's occurred with college students. I mean, you are after all, adults now, right? I appreciate all of your responses! Actually, I will tell you some of the story. My boyfriend is in the army and we want to move in together but it would just be easier to get married as we will receive BAH monthly for housing. We are not expecting right now, thankfully, haha. But, we just think it is more beneficial to get married as we plan on doing it in the future anyway. We just wanted to do this now so we can move in instead of waiting. I just wanted to hide it because I don't know how my dad will take it and I was just wondering if I could do it with out it causing a problem! Being retired military myself, I can tell you that will create different problems. But before I get into that, what branch is your BF in, and what is his MOS or AFSC? Does his job require him to have a security clearance of "any" type?